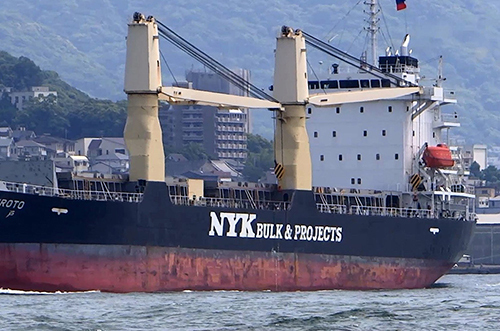 For over 25 years, WACS has been the agent of NYK Line; one of the biggest shipping companies in the world. WACS currently represents NYK Group with related branches (car carriers / bulk & projects / general cargo / cruise / tankers and LNG carriers) except containers which is now under (ONE) Ocean Network Express management effective from 1st of April 2018. RORO Liner Service: WACS, as agent for the biggest RORO fleet in the world, provide safe and reliable transportation for top car companies, plant equipment and industrial/agricultural machineries. We offer secure transportation of units from vessels to storage areas, through our expert operation personnel. 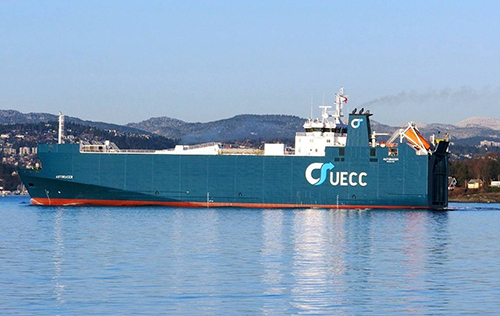 The division connects Alexandria and Far East base ports, USA & Gulf area via Piraeus, through its regular monthly calls. NYK Bulk & Projects Carriers Liner Service: WACS, as agents for the pioneer carriers of heavy cargo, is responsible for the transport of all manner of plant and heavy-lift cargo, such as petrochemical/energy-related plants, oil and gas field equipment, power plants and transformer substations, and transport equipment, including container cranes in Egypt. NYK Cruise (Asuka II): WACS, as agents for NYK cruise vessels, is responsible for completing our principal’s agency services in Egypt. Asuka II was launched in 1991 and was the first Japanese cruise ship to conduct a world cruise. Since then, the Asuka brand has become synonymous with the luxurious, high-quality cruise experience. We will be pleased to receive your inquiries through liner@wormsalx.com. 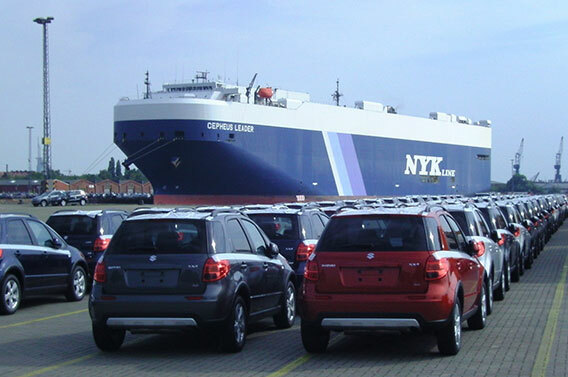 For almost 10 years, WACS has been representing the United European Car Carrier (UECC), which is the Leading provider of short sea RO-RO transportation in Europe dedicated to the needs of the automotive industry. Connecting cargo through Piraeus from mother vessels, shipped from Far East ports to Alexandria as final destination. Along the years, WACS has gained a long experience in handling, not only light & regular custom RORO shipments, but also, heavy and oversized cargo such as plants, machinery, boats, and railways thus; smooth operations and rapid delivery is reflected in our operational process. Worms Alexandria Cargo Services (WACS) has been appointed as General Agent of Medship Feeders DMCC in Egypt as of January 2018. Medship Feeders, founded in 2012, is a private independent company offering the most reliable & efficient weekly common feeder services with 2/3 vessels between Egypt (Damietta–Port Said) and Libya (Tobruk, Benghazi, Misurata, Khoms and Tripoli). Medship Feeders offer first class services to serve the major Container Shipping Lines to/from Libya. WACS operational & sales teams stay at your entire disposal for any information needed. 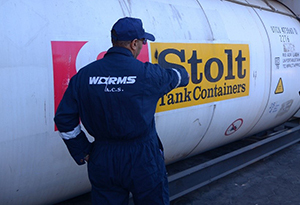 Since 2008, WACS has been the agent for Stolt Tank Containers (STC), owning the largest fleet in the world. STC is the leading provider of logistics and transportation services for door-to-door shipments of bulk-liquid chemicals and food-grade products. WACS has developed a lot of related activities to enhance Stolt’s business in Egypt including trucking and custom clearance services, enabling customers to have one contact person for full door to door service. WACS provides operational assistance all over Egypt, for loading & unloading showing new customers the know-how operation procedure for their shipments. 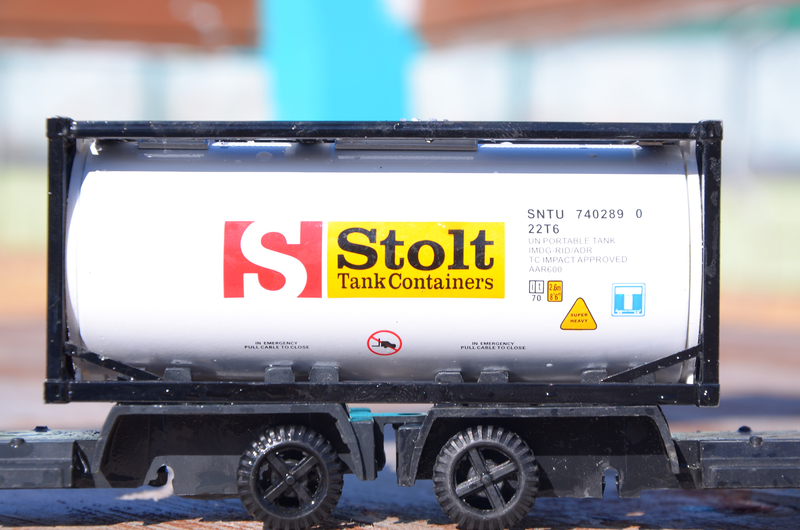 WACS uses its strong connections with shipping lines to offer competitive rates for Stolt customers, whether locally or for cross bookings, for all types of Tank capacities (ranging from 20,000 to 26,000 liters). WACS also handles the booking procedures on behalf of customers with all shipping lines to facilitate their booking process. ISO Tank container is a large stainless steel pressure vessel held within a 20-foot ISO frame, to ensure safe and reliable transport of bulk liquids, in addition to fitting most modern inter-modal transportation options, including container ships, trucks and rails. Compared with drums, IBCs & barrels, a tank container is the most cost-effective way of liquid transportation as it is almost 40% lower in cost on D/D shipments. We ensure 24 hrs personnel availability & assistance with on time information delivery, for rate requests, sales leads, tracking & transshipment inquiries through our global network.